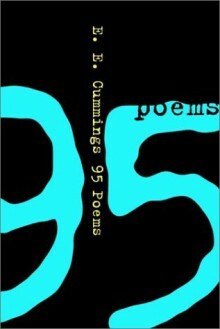 A paperback collection newly offset from Complete Poems 1904-1962 with an afterword by the Cummings scholar George James Firmage.Published in 1958, 95 Poems is the last book of new poems published in Cummings's lifetime. Remarkable for its vigor, freshness, interest in ordinary individuals, and awareness of the human life cycle, the book reflects Cummings's observations on nature and his prevailing gratitude for whatever life offers: "Time's a strange fellow: more he gives than takes." This new edition joins other individual uniform Liveright paperback volumes drawn from the Complete Poems, most recently Etcetera and 22 and 50 Poems. I just don't click with poetry, most of it leaves me indifferent.